We’ve already seen the Japanese government turn to social media to help boost tourist numbers, and now All Nippon Airways (ANA) has followed suit by rolling out its own viral campaign. The airline has announced the launch of its Is Japan Cool? website which is aimed at sharing and exploring the most interesting, fun and ‘cool’ aspects of the country. Visitors to the site can share articles, video clips and photos of what they believe are interesting — anyone who has ever visited the country can attest, there’s certainly plenty of scope. Visitors can vote submissions up or down — ‘cool’ or ‘not cool’ — as ANA aims to build the definitive list of Japan’s most popular facets. The website initially went live on February 10 but the campaign has kicked off today, with contestants standing the chance of winning free round-trip tickets to Japan. However, it is strange that details of how the flights can be won are still listed as “coming soon”, let’s hope ANA fixes this to capitalise on early interest in the campaign. Fittingly for a campaign run by an airline, Japanese hospitality is currently top with the most votes. That’s followed closely by Japanese toilets, some of which are epic, hot spring spas, Mount Fuji and popular dish Soba. 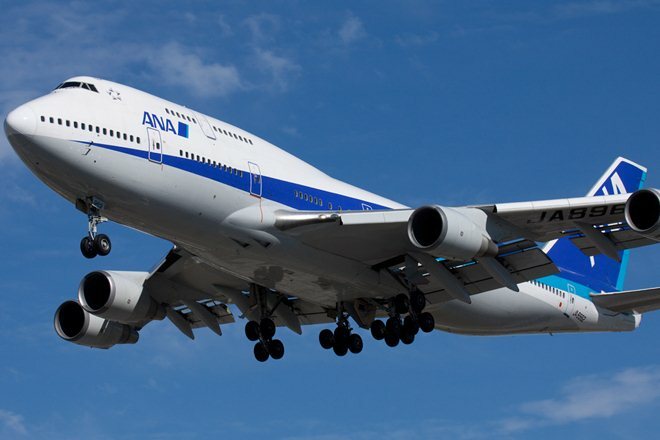 After the Great East Japan Earthquake on March 11, 2011, ANA has been striving to increase tourism to Japan through a wide variety of approaches, including a campaign to attract students from abroad. ANA continues to entice people around the world by highlighting the attractiveness of Japan, working to become a bridge between Japan and the world. Though the website has share buttons that enable visitors to post content to Facebook, the dedicated thumbs up and thumbs down buttons are not wired into the social network. ANA could have been bolder and encouraged greater interaction with the social network to increase the reach. Equally, items can be voted on without visitors needing to register on the site or log into Faceboook. While that encourages higher levels of interaction and voter numbers, it can lead to issues with fake clicks and it means ANA isn’t capturing details of all of its visitors, which it could use for future initiatives. That said, the site and concept are nicely put together and, with free flights to Japan up for grabs, it could generate significant interest. We’ve reached out to ANA to clarify details of the campaign and will update this article wth any response that we receive.